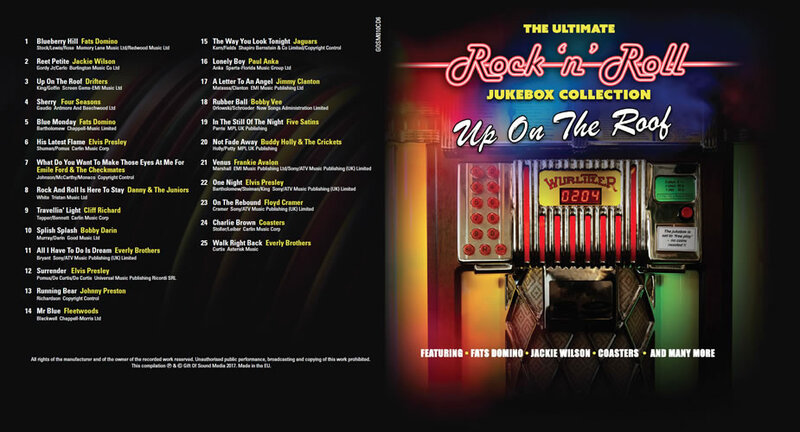 The Ultimate Rock n Roll Jukebox Collection 250 Hits on 10 CDs ! 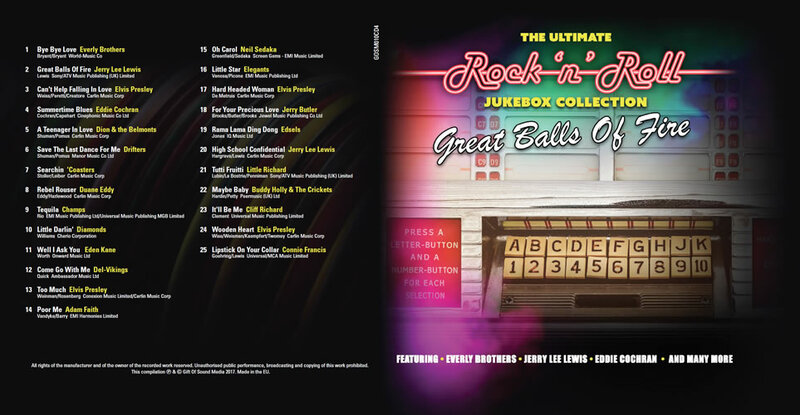 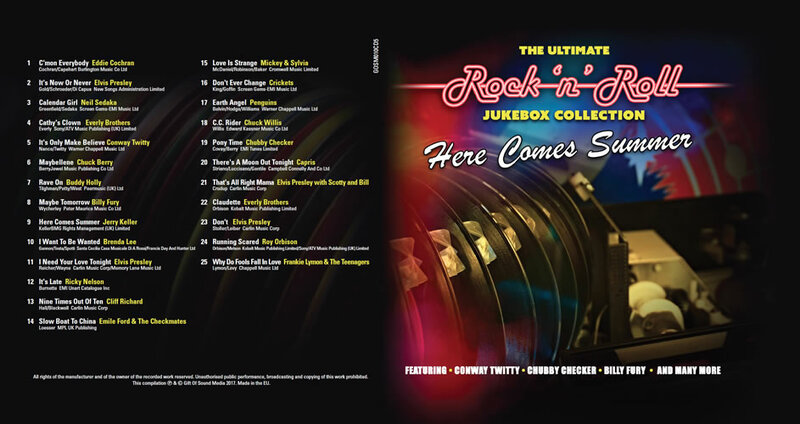 An outstanding collection of Rock 'n' Roll classics, 250 Hits on 10 CDs of Original Artists and Recordings. 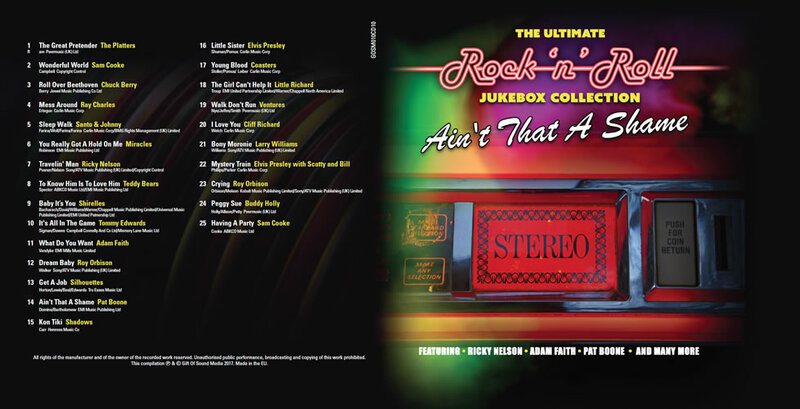 The extensive track listing and price makes this one of the best value for money purchases on the market. 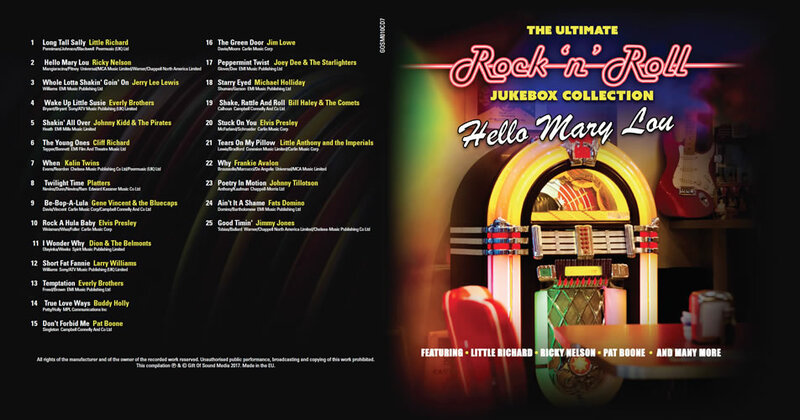 10 CDs and 250 Rock n Roll Hits From those glorious days of the 50s and 60s. 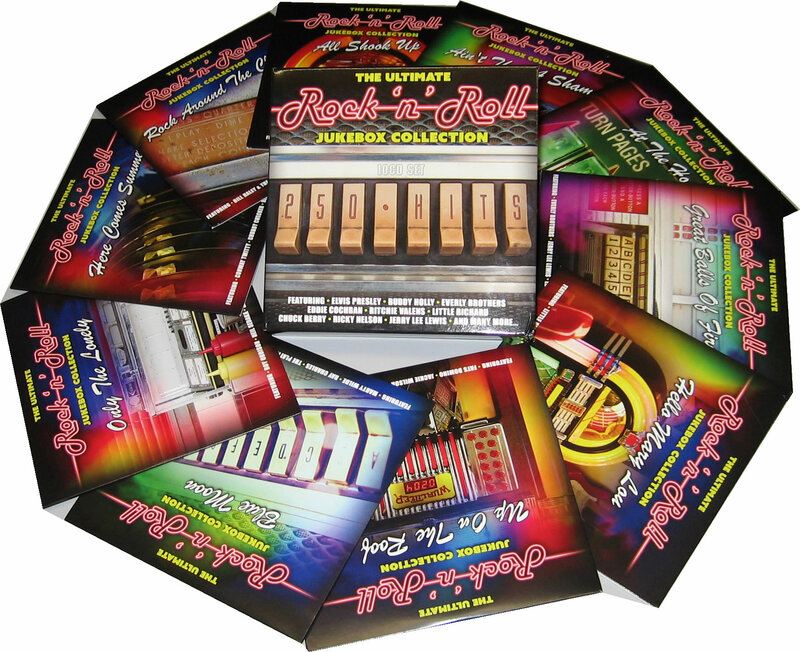 Gift Of Sound invites you to take a trip back in time and rediscover a timeless collection of rock and roll music and memories. 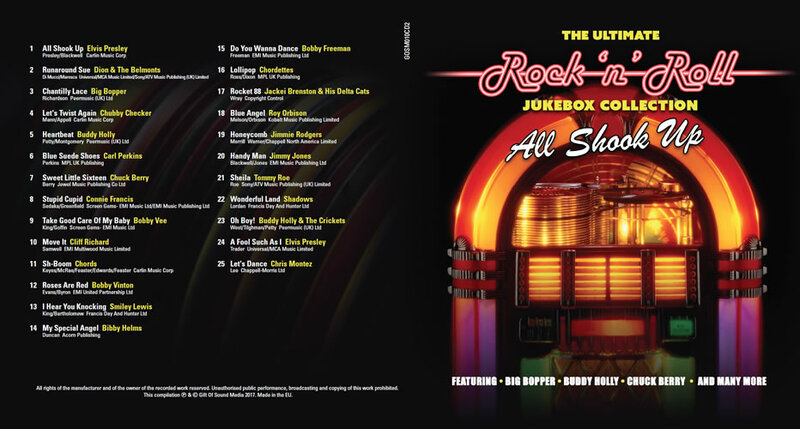 The Ultimate Rock n Roll Jukebox 250 Hits features 250 wonderful hits on 10 CDs, and each disc is a musical treasure trove containing many of your favourite songs. 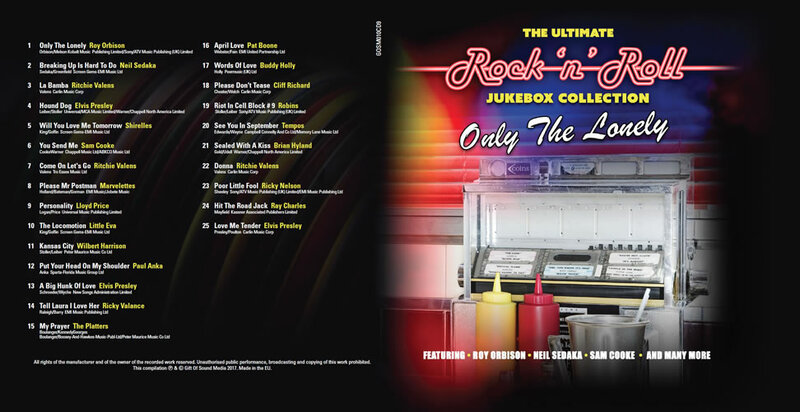 Close your eyes, listen to this CD collection of Rock & Roll music legends and you could easily be transported back into an American Diner when the Jukebox was king. 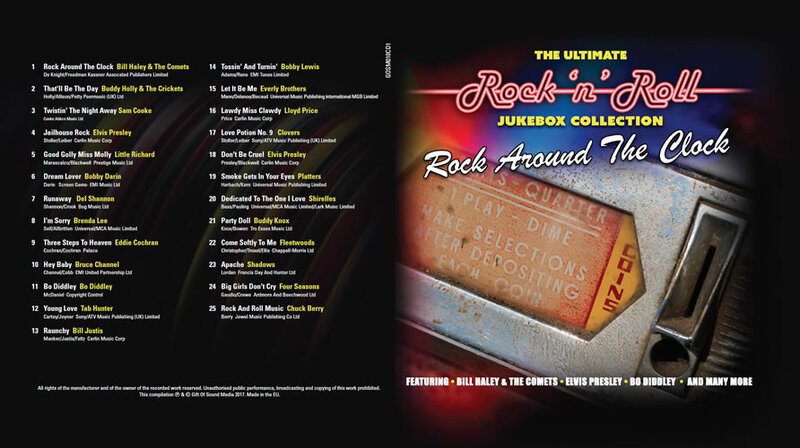 All tracks are Original Recordings performed by the Original Artists as detailed in the track listings below.